Well, the assessors did come to look at the damage and now it's just a waiting game. The carpet has dried, at least, and thank goodness we have a spare bathroom otherwise this stressed little bunny would be a tad MORE stressed! Yep, FNSI came just at the right time! Nothing like a bit of stitching to take the stress down a notch or two. I started a new project I've been planning on doing for quite a while. 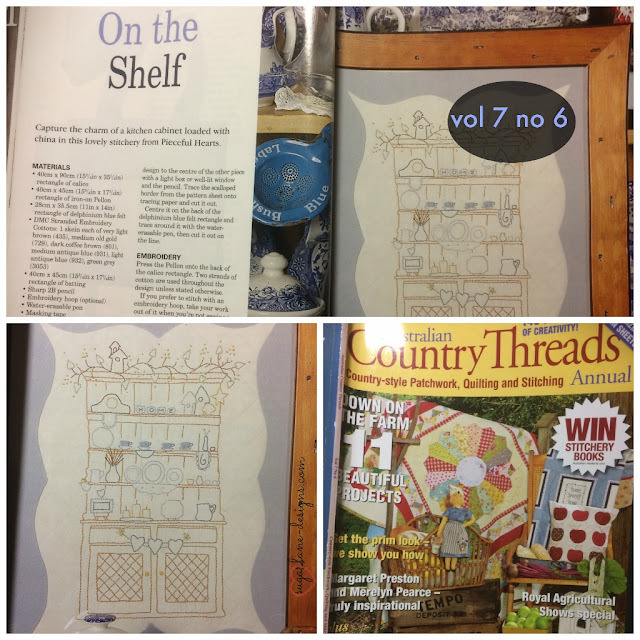 I'd seen it in one of my copies of an Australian Country Threads magazine (2007) and fell in love with it. Called 'On the Shelf'' by Pieceful Hearts, it touches a spot in my country girl heart. I sat down in front of BH & G and got comfy and cosy in my track pants and jacket with the rain falling in the background (a rarity up here unless there's a cyclone looming), grabbed my stitching and began stitching away..... and I'm sure it's like waving the starting flag at the V8s as it seemed to be an indication to 18 yr old Charlie to climb up and cuddle in for the night. I tried to stitch 'over' him but he showed his disgust so cuddles were in order for a while so the stitching had to take second place for a bit. My 'helper' had put me in my place! I did manage to get some done though (although not as much as I would have hoped), once he decided he wanted to go to bed. 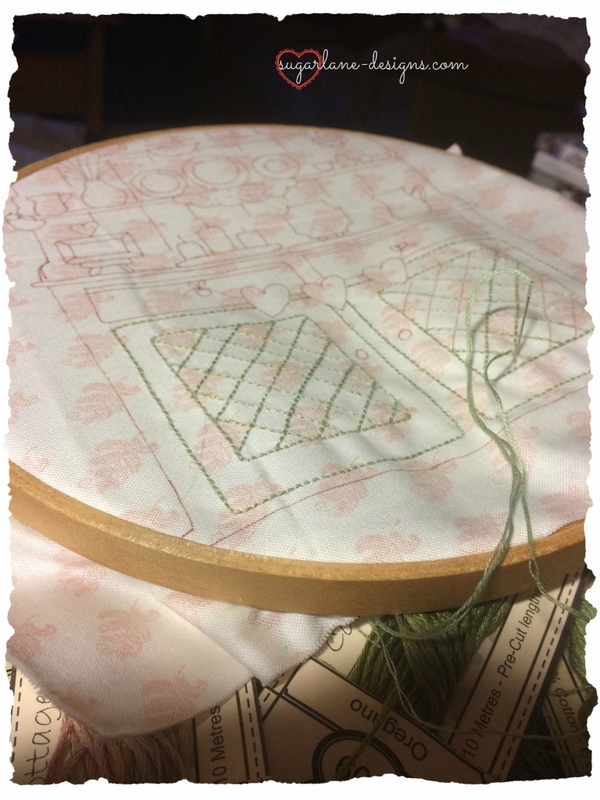 I'm using 'Salvia' Cottage Garden Threads for the hutch and I'm loving how it's coming out. Subtle changes in the green give it a dimensional feel. I can see this one coming along quickly. We had a welcome visitor in the backyard yesterday....over the past couple of days we've had a huge rain event which dropped 9 1/2 inches of rain in our area. Was lovely and cool but today you just wouldn't know it had happened. This little guy dropped by and perched himself on one of our bare branches outside the laundry window. Makes you appreciate nature and all its beauty, doesn't it? 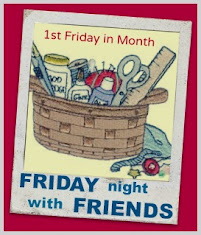 Have you caught up with everyone's FNSI projects? 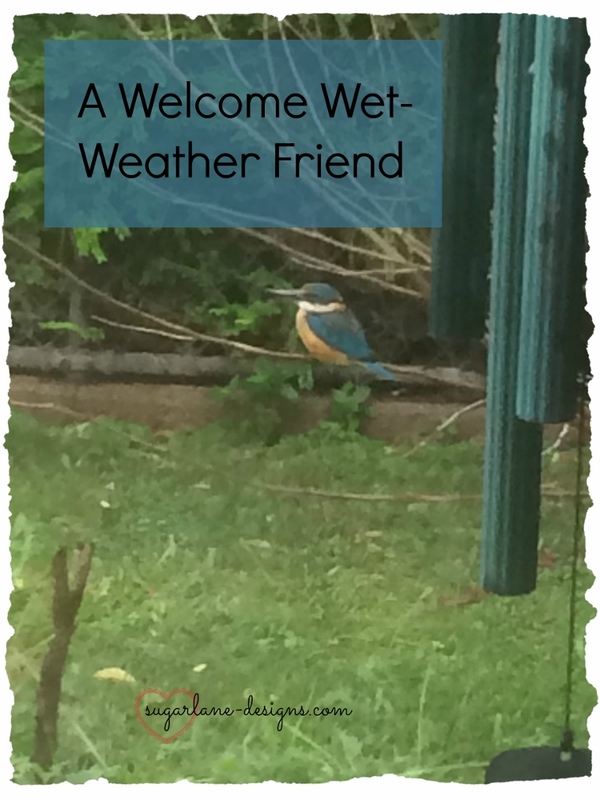 Pop back here and click on the links to visit - many lovelies to inspire, that's for sure! 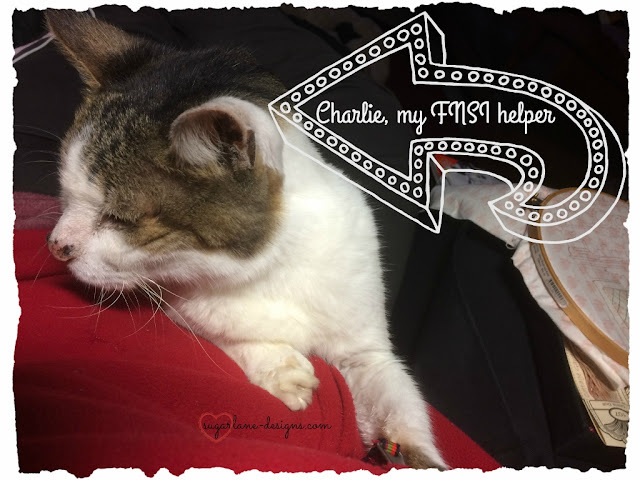 Off for some more stitching, before Charlie wakes up! Lively stitching an much more lovely cat! ;) I've grewn up with cats since my birth. And the kingfisher is such a beauty! I've never seen one in nature. What a lucky girl you are to see him in your backyard. lovely stitchery - variegated threads give a lovely result. My cats aren't lapcats, but they do know how to get attention when they want it! Lovely pattern that you've chosen to work on. I think I might have that magazine, so I'll have to take a closer look at it. That's really pretty. It reminds me a little of something Allie Hartom is doing, but it isn't the same pattern at all. Gotta love that green! Gotta love Charlie, too. =) His venerable age allows him certain privileges! Beautiful visitor in your backyard. I'm glad you found your 'zone'.